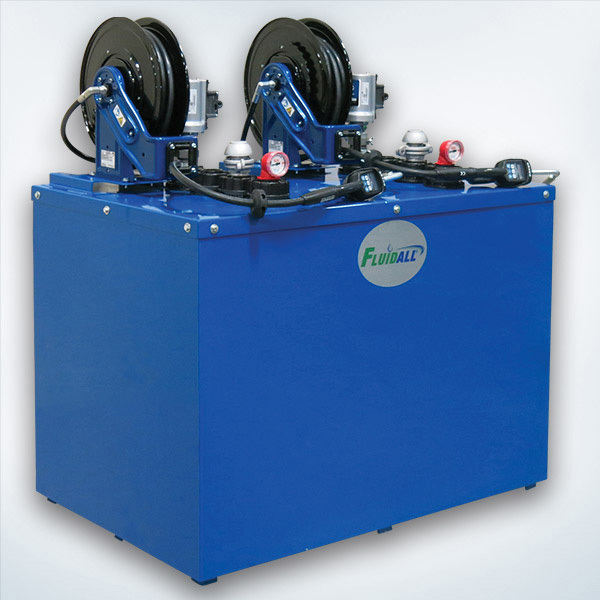 One Hybrid Double Wall Tank System safely stores and handles up to three fluids, each up to 110 gallons capacity. Added system benefits include rust resistance, built-in double walled secondary containment and dedicated dispense packages, all in one footprint! 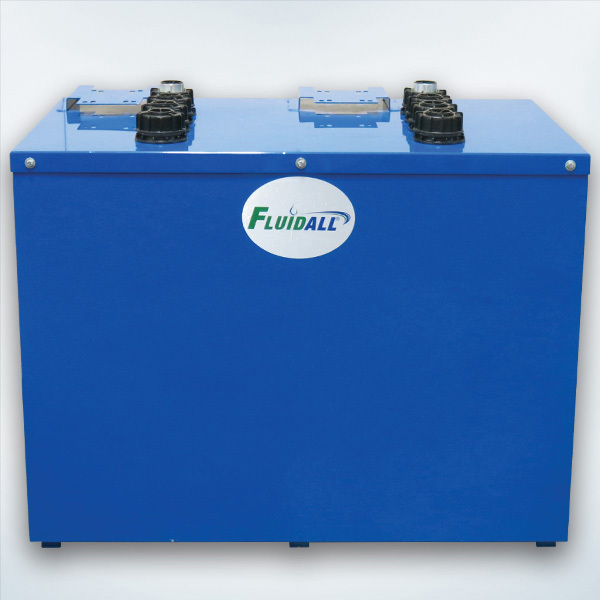 Our Hybrid Double Wall bulk liquid storage tanks are lighter and cleaner than traditional steel tank systems. Attractive and rust-resistant, our Hybrid Double Wall Tanks have one exterior powder-coated aluminum tank which functions as an EPA Compliant secondary containment vessel. Inside the aluminum tank are up to 3 seamlessly blow-molded, high density polyethylene tanks. Each inner tank can store up to 110 gallons and they are non-corrosive and leak-proof. Our interior tanks have zero fittings below the fluid line. Each inner tank has (4) 2" NPT top openings which can utilize fluid level gauges, lockable fill caps, emergency vents, and optional dispense packages (consisting of a pump, reel and gun with more options available). Each Hybrid Double Wall Tank system arrives pre-assembled, and ready to be delivered via forklift to the desired dispense area.